We do live in a world of unintended consequences. You paint sections of your back yard gentle yellows and plant pretty flowers to attract birds and insects only to discover you’ve created a raccoon magnet. And then you discover that they’re nowhere near as cute as they are in TV commercials. Well, this story here today exemplifies that only without the traditional tragic ending. In fact the idea was so poorly planned out as to be glorious in its execution. And, bonus for all, it ended up making a lot of people happy. 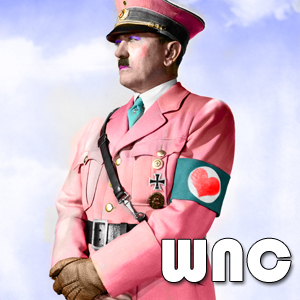 Let’s let Mark Adnum tell you the story of the gay, Nazi, beach lover’s paradise. In 1938 a Sicilian mayor did the local homosexuals an inadvertent favor, and all in the name of currying favor with Mussolini. Anxious to appear as fascist as possible, the mayor of Catania noted the “spreading of degeneration” caused by local gay dances and gay behavior at some of Sicily’s gorgeous beaches and rounded up 45 guys from Catania and shipped them, handcuffed to leaky boats, 300 miles away, to the lovely island of San Domino in the Adriatic Sea. So far, so fascist, but as the months passed on San Domino, the men — far away from the prying curiosities of their devoutly Catholic family members, their employers and the police who kept watch on everything that moved in their hometowns — enjoyed something approximating a paradise. We were curious because they were called “the girls.” We would go and watch them get off the boat … all dressed up in the summer with white pants — with hats. And we would watch in awe — “Look at that one, how she moves!” But we had no contact with them. They would be locked inside the dormitories, and they were under the supervision of the police. My father always spoke well of them. He never had anything bad to say about them — and he was the local Fascist representative. In those days if you were a femmenella [obviously gay] you couldn’t even leave your home, or make yourself noticed — the police would arrest you. On the island, on the other hand, we would celebrate our Saint’s days or the arrival of someone new. We did theatre, and we could dress as women there and no-one would say anything. I have been hearing bits and pieces of this story for years. 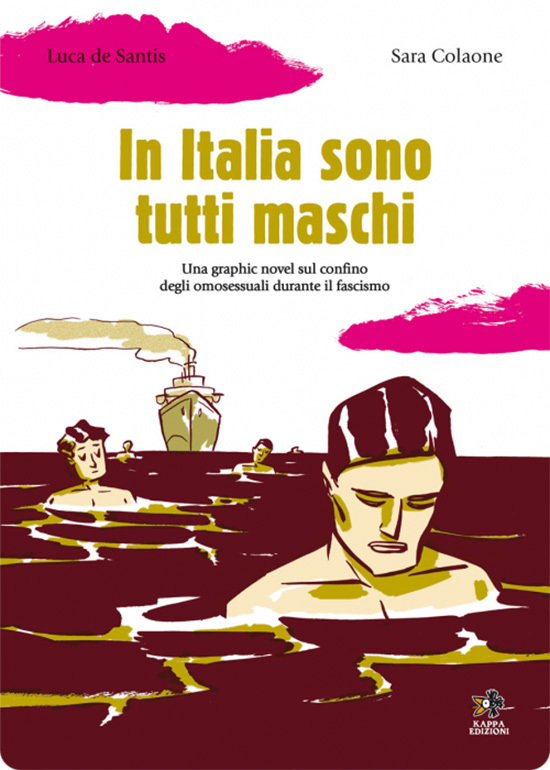 But, since I don’t speak Italian and am not gay, I never crossed paths with the graphic novel. Now that the whole story is coming out one can’t help but wonder at how fortunate those men must have felt. Even with the guards on site it’s clear they were given immense freedoms, all things considered and, maybe for the first times in their lives, the chance to explore their true natures without fear. There’s no real explanation that I have found that specifies why the men were sent home at the start of the war. Clearly they would never be allowed to serve in the army. Maybe the few guards were too valuable an asset after that? We’ll probably never know.